Simply decorated rooms that exude a warm and cozy ambience. 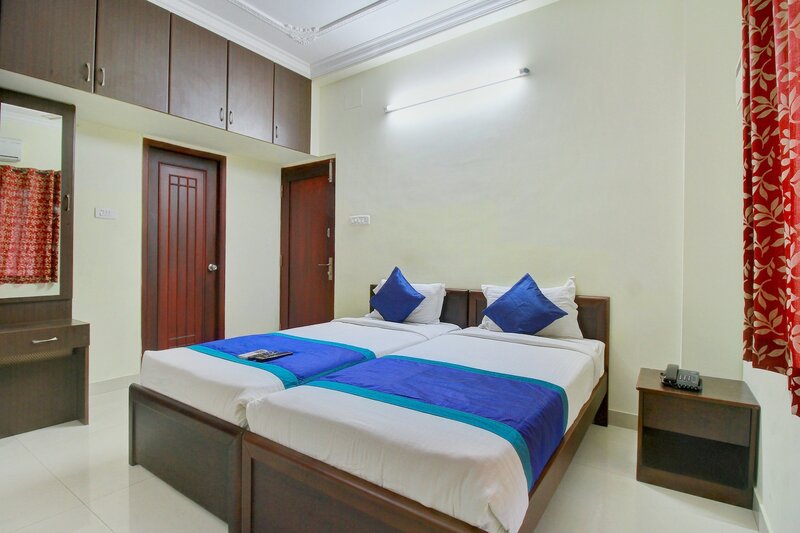 Cozee Stay is situated in a neighborhood that is considered to be one of the oldest residential areas and situated in the central area of the city. It is a beautiful hotel with a simple structure externally that attracts people to come and stay there. The bedrooms at the hotel are decorated with a contrast of light coloured walls and dark colored furnishings. The hotel provides a seating area and a geyser for the guests to avail whenever they want. Along with this the hotel also offers amenities such as free Wi-Fi, power backup, parking facility and a card payment option.